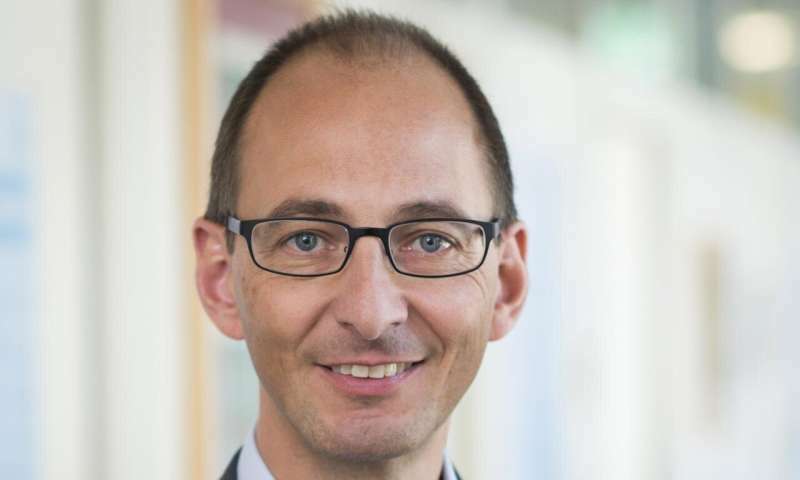 Professor Thomas Müller and Professor Hans Briegel have been carrying out research on a machine learning model for several years that differs significantly from alternative artificial intelligence (AI) learning models. The philosopher from Konstanz and the theoretical physicist from the University of Innsbruck have integrated methods of philosophical action theory and quantum optics. Their "Projective Simulation" learning model has already been successfully applied in basic research. Together with the Innsbruck physicist Dr. Katja Ried, the researchers have now adapted this AI model for realistic application to biological systems. The current issue of the scientific journal PLoS One discusses how the learning model can be used to model and reproduce locusts' specific swarming behaviour. Demand for models that are "closer to biology"
To carry out their interdisciplinary collaborative research, the scientists used data on locust behaviour from the Centre for the Advanced Study of Collective Behaviour in Konstanz, which carries out research on collective behaviour. Biologists in particular are demanding that models explaining collective behaviour be designed to be "closer to biology." Most current models were devised by physicists who assume that interacting individuals are influenced by a physical force. As a result, they don't necessarily perceive individuals within swarms to be agents, but instead, as points such as interacting magnetization units on a grid. "The models work well in physics and have a good empirical basis there. However, they do not model the interaction between living individuals," says Thomas Müller. Projective Simulation is a learning model originally developed by Hans Briegel and is based on agents who do not react to events in a pre-programmed fashion. Instead, they are capable of learning. These "learning agents" are coded as individuals with different behavioural dispositions who interact with their environment by perceiving and reacting to sensory input. For this purpose, they follow AI rules that allow them to use their previous individual experiences to adjust their actions. On the one hand, this learning process involves quantum physics-based random processes during which all potential courses of action are considered. On the other hand, the action theoretical principle of reinforcement learning comes into play, which is based on rewarding certain outcomes. "We give a reward if the agent moves with the others in a well-ordered manner. In time, an agent realizes: when perceiving certain things, it is better to react in a way that will lead to a reward. We do not preset the right course of action in a particular situation, but we do ensure that it is achieved through the interaction between the agents," explains Thomas Müller. Thomas Müller, Katja Ried and Hans Briegel have applied this learning model to a locust's specific and well-researched swarming behaviour. In a confined space, the insect's movement behaviour corresponds to the size of the swarm. If there are only a few individuals, the locusts move in a disordered fashion. In larger numbers, they move together as a unit. In very large numbers, they move as a unit and in the same direction. Since the researchers were initially interested in simply testing their learning model, they utilized a qualitative description of the locusts' behaviour in place of raw data. In this way, they were, in fact, able to qualitatively reproduce the locusts' behaviour. Looking ahead, Thomas Müller believes that future research in this area will benefit from large data sets on animals, such as schools of fish with their dynamic behavioural patterns. "Modelling fish would probably be a good but also very complicated next step in making our learning model even more realistic," concludes Müller.